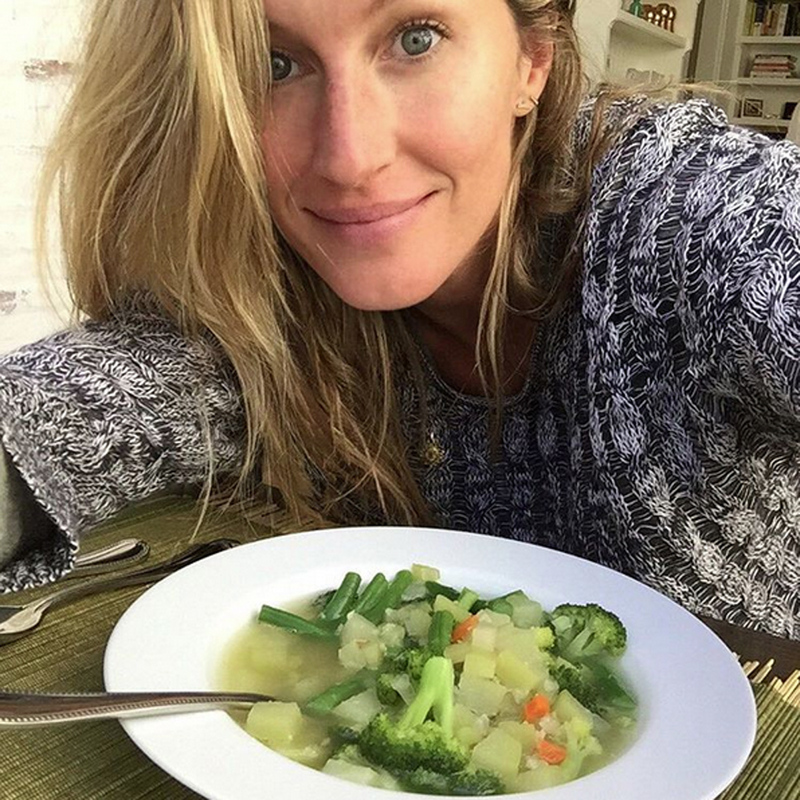 Gisele Bündchen and Tom Brady’s personal chef has revealed exactly what the couple’s strict diet looks like – and, folks, it ain’t all cookies and carb-loading – even on holiday. Yes, back in January, the couple’s home chef detailed exactly what it takes to keep up with the Brady- Bündchen bunch in the clean eating stakes – white sugar, white flour, MSG, caffeine, olive oil, fungus, dairy, and, um, nightshade vegetables are all on the banned list for the family. But now the couple’s second private chef, Joanne Gerrard Young (a holistic nutritionist who works at their home in Costa Rica) has revealed what gets served up when the family are on vacation. We’d could have kind of expected that the supermodel and her football player husband would eat lean, clean and green (their bodies are world-famous, after all) but analysis of the below grocery shopping list takes things to a whole new level. Ok, this is all very well, but what about on a cheat day? Please tell us that Gisele orders pizza on weekends, or at least had an ice cream on that holiday? That’s their comfort food? We surrender.